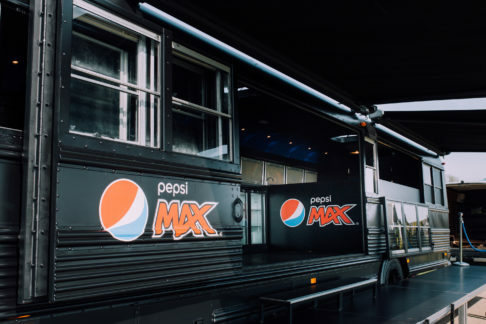 For JCP Nordic from Oslo we made the Pepsi Max Taste Truck. 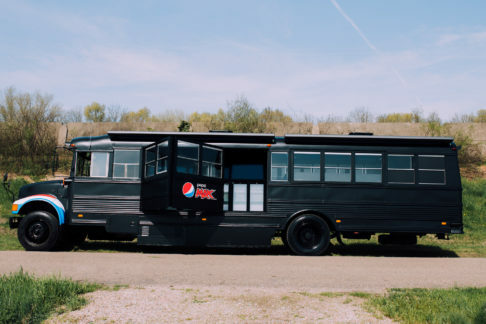 The assignment: the Taste Truck should be as open as possible, the large volume of cans and bottles Pepsi Max should be well visible and accessible. For this task we cut the side from an American schoolbus, we placed X refrigerators with glass doors and made the Truck open and accessible with solid staircases and large canopies. 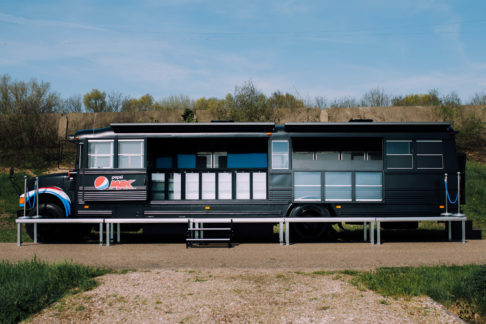 JCP Nordics tours through Scandinavia along major events and music festivals with the Pepsi Taste Truck for the Pepsi Max Taste Challenge.